As long as I can remember, I’ve been fascinated by human behavior and have had a genuine desire to help those in need. Since I was a young child, I was always taking care of people and offering them solutions on how they could improve their life circumstances. I only consciously realized this profound desire to help people and simultaneously change how they lived their life when I discovered acupuncture for the first time. This awakening was life changing and inspired me to pursue a career in acupuncture and Chinese medicine. I had little familiarity with acupuncture at the time, but I was amazed by how it had the ability to elevate me emotionally, physically, and bring me into the present moment consequently inducing a feeling of peace within my body. Not only did my chronic shoulder pain and digestive issues improve in response to acupuncture treatment, but my perspective on what was possible for my own life and health was broadened. I truly saw life in a different way, and my life path started to unfold. I realized that alternatives exist to the stress, anxiety, worry, and poor diet that plagued my own and so many other contemporary lifestyles, and it became clear to me that acupuncture plays a role in experiencing full mind-body wellness and personal growth. I am a licensed acupuncturist in the states of Texas and New York, and I received my masters degree in Acupuncture and Oriental Medicine from The Aoma graduate school of integrative medicine in Austin, Texas. 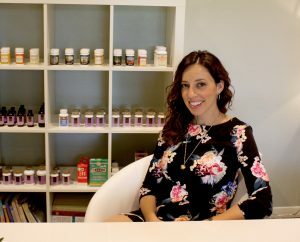 I have extensive herbal and supplement training, mindfulness training, and a decade of experience in mental/emotional health and women’s health. I received comprehensive post-graduate training in alchemical acupuncture as a way to further develop my skills in effectively treating emotional issues. With this training, I learned that illness and suffering offer us an opportunity to heal ourselves and get acquainted with our emotions (inner world) in order to create a more meaningful life infused with purpose and ease. My talent for connecting with people deeply allows me to foster a healing relationship based on safety, nurturance and a mutual understanding. I have a way of drawing out the emotional inner being so that my clients can become acquainted with that part of themselves. I’ve always been an insatiable learner, and I’m passionate about psychology, eastern philosophy, spirituality, mindfulness, women’s health and personal growth. I’m on a mission to help people gain more awareness into the terrain of their emotional being and to understand how inner growth creates outer change in our world and in our bodies. Personally, I’m nourished when I’m surrounded by nature, connecting with my family and dear friends, having dance parties, asking big questions and engulfing myself in self care. I’m committed to my own growth emotionally, physically, and spiritually and I LOVE to help others foster their growth. I love connecting with people who are invested in getting to know themselves better and evolving in their own life path. I use my intuition, body awareness, knowledge, and healing gifts to draw out what your soul needs to flourish in this lifetime. Birds Nest Acupuncture incorporates alchemical acupuncture to promote a more mindful, emotionally balanced and physically healthy life. Modern society is plagued with many emotional stressors leading to anxiety, depression and trauma, and we believe that by addressing both the emotional and physical aspects of ourselves, we can create profound change in our minds and bodies. We are on a mission to help people address the dual need to take care of their emotional and physical health. 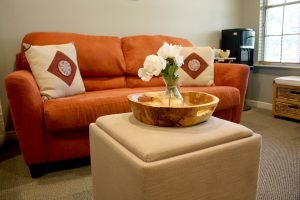 Birds Nest Acupuncture was created as a refuge, a nest where you can come home to yourself and listen to your inner voice that already knows how to help you heal. Join us on this journey of transformation.